The potential of development of a country lies in the development of intellectual capital which is defined by its people’s intellectual capabilities. Education, higher education in particular, is an important tool to nurture and augment such capabilities. 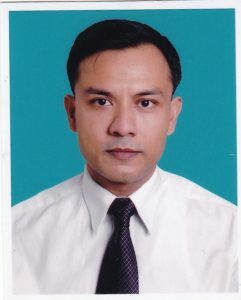 The Government of Bangladesh (GoB) recognized that the country would be at risk of being left behind in a highly competitive global economy as its higher education systems were not satisfactorily primed to produce graduates empowered with right skills and capability for a challenging global economy. As such, higher education institutions (HEI) need to widen their scope and area of operation and encourage the development of students’ creativity and individuality so that they become high-quality human resources and contribute to the country’s competitiveness. Towards this end, University Grants Commission (UGC), as the intermediary between the Government and the universities for regulating the affairs of all the universities, brought out Strategic Plan for Higher Education 2006-2026, a publication concerning the expected trajectory of future trail of higher education. The recommendations made in the Strategic Plan propelled the Ministry of Education to launch the Higher Education Quality Enhancement Project (HEQEP) with the financial support of the World Bank in mid 2009. The Quality Assurance Unit (QAU), formed within the organizational structure of University Grants Commission (UGC) of Bangladesh under HEQEP, initiated the QA mechanism in Bangladesh’s HEIs. The QAU has overseen and approved the formation of Institutional Quality Assurance Cells (IQACs) in universities and elaborated on a set of guidelines and the processes to facilitate the operation of the IQACs. It aspires to advance quality of teaching, learning and research and set in motion an effective internal QA system in all the higher education institutions in Bangladesh. Accordingly, SUB has formed the Institutional Quality Assurance Cell to accomplish the envisioned objectives. State University of Bangladesh has signed a Performance Contract to implement a Program entitled “Establishment of Institutional Quality Assurance Cell (IQAC) at (SUB)”on 12 January, 2016. To achieve acceptable quality of education and research, and to ensure the quality level through provision of adequate environment and appropriate teaching & learning. To improve quality of operations at the University in general and particularly in teaching & learning. To review academic curriculum of relevant entities (departments) of SUB. To co-ordinate all quality assurance (QA) activities at the national level, and link with UGC and other external QA agencies. To monitor and evaluate self assessment (SA) practices and processes through audit & survey in order to develop and strengthen the functional modalities. A team comprising four persons under overall supervision by the Vice-Chancellor of SUB implements the activities of the IQAC-SUB. Facilitation of Accreditation process of the University and its programs. Improvement of institutional functioning facilitating quality improvement and quality assurance. Review and evaluation of all programs, academic curriculum of different disciplines with an objective to modify existing procedures to achieve expected quality. Review & evaluation of policies and rules of the University to enhance the quality of academic environment. Function as a change agent in the University. Enhancement of external, internal and to some extent international coordination and collaboration. Overseas trainings were organized under the Higher Education Quality Enhancement Project (HEQEP) of the University Grants Commission (UGC) for the Directors and the Additional Directors of the IQACs of different public and private universities. Dr. Harun-Ar-Rashid, Ex-Director of IQAC-SUB, participated in an overseas training in Malaysia under Higher Education Quality Enhancement Project (HEQEP) of the Government of Bangladesh funded by the World Bank. The team consisted of 15 delegates from the IQACs (Directors and Additional Directors) of round 3 Universities under the HEQEP project. Besides, there were four delegates from HEQEP and Quality Assurance Unit (QAU) of the University Grants Commission (UGC) of Bangladesh. The training period was from May 1- 14, 2016 held in Kuala Lumpur. In addition to the regular sessions conducted at the training venue, there were visits to four Universities (University Putra Malaysia, Asia Pacific University of Technology & Innovation, Higher Education Learning Philosophy University and University of Nottingham, Malaysia Campus) in Malaysia. Mr. Mamoon Al Rasheed, Additional Director of IQAC-SUB, participated in a training facilitated and conducted by the Asian Institute of Technology Extension (A.I.T Extension) at Bangkok from April 25, 2016 to May 6, 2016. Seventeen educators comprising Directors and Additional Directors of IQACs of fifteen different public and private universities of Bangladesh and two senior officials from the University Grants Commission, Bangladesh participated in the training. The participants of the training were taken out in between sessions for exposure visits to four different universities (KasetSart University, Asian Institute of Technology, Rangsit University and King Mongkut’s University of Technology North Bangkok) around Bangkok city. The Institutional Quality Assurance Cell (IQAC) of State University of Bangladesh (SUB) organized the inception workshop on the theme “IQAC-The Enabling Framework of Quality Assurance in University” on Sunday, May 14, 2017 in the seminar hall of its own campus. Dr. Gauranga Chandra Mohanta ndc, Project Director of HEQEP, Ministry of Education, the People’s Republic of Bangladesh, was present as the Chief Guest in the program. He eloquently described the state of quality assurance initiatives by different countries in South Asia and the forerunner role played by the Government of Bangladesh among its neighboring countries. The keynote presentation was delivered by Dr. Sanjoy Kumar Adhikary, Head, Quality Assurance Unit, University Grants Commission. Dr. Md. Mahbubur Rahman, Vice President, Board of Trustees, State University of Bangladesh recalled the history of efforts of the University to strive for quality. Maj. Gen.(Retd.) Dr. M. Shahjahan, Ex-Acting VC of SUB chaired the session. He thanked the distinguished guests and reiterated the commitment of the University to uphold the ongoing efforts for quality assurance for all its programs. IQAC of SUB organized the team building workshop for the Departments of Food Engineering and Technology, Law, and Public Health on 6th March 2018 which was held at Seminar room of the main campus of the university. Professor Dr. Harun-Ar-Rashid, Department of Public Health, Daffodil International University as present as the Resource person of the workshop. IQAC of State University of Bangladesh coordinated to arrange the team building workshop of the Department of Pharmacy which was held on 07th April 2018 in the main campus of the university.Professor Dr. Khandokar Saif, Department of Statistics, Bangabandhu Sheikh Mujibur Rahman Agricultural University and Member of Peer Reviewers Panel, QAU, HEQEP, UGC. The workshop on Self-Assessment Report Writing and External Peer Review organized by IQAC of State University of Bangladesh was held on 23 April 2018 at Scholars Inn, Kalabagan, Dhaka. Professor Dr. Sayeed Salam, Vice Chancellor of the State University of Bangladesh was present as the Chief guest. 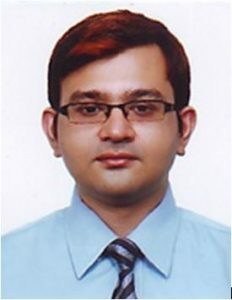 Professor Dr. S.M.A. Faiz (Advisor of the University), Professor Dr. Sanjay Kumar Adhikary (Head, Quality Assurance Unit, HEQEP, UGC), Dr. Md. Mahbubur Rahman (Vice-President, State University of Bangladesh) were present in the program as Special Guests. Dr Ahmed Tazmeen (QA Specialist, QAU, HEQEP, UGC) and Dr. Mahbub Ahsan Khan (QA Specialist, QAU, HEQEP, UGC) delivered important presentations on different aspects of SA Report Writing and External Peer Review. The program was chaired by Professor Dr. Md. 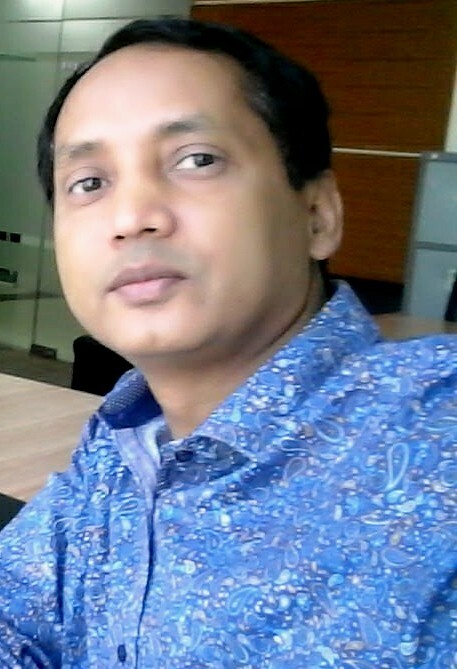 Moklesur Rahman Sarker, Director, IQAC & Head of Academic & Research, Department of Pharmacy, State University of Bangladesh. The heads and members of Self-Assessment Committee and heads of the Departments of Architecture, Business Studies, Computer Science & Engineering, English Studies, Food Engineering & Technology, Law, Pharmacy, and Public Health. IQAC of SUB organized a two-days-long program for the presentation on Self-Assessment Reports on 29-30 August 2018. The Self-Assessment Committee of the Departments of Architecture, Business Studies, Computer Science and Engineering, English Studies, Food Engineering & Technology, Law, Pharmacy, and Public Health presented their self-assessment report (SAR) and IQAC Director and Additional Director, along with other faculty members critically reviewed and discussed on various aspects on the reports presented by those departments.